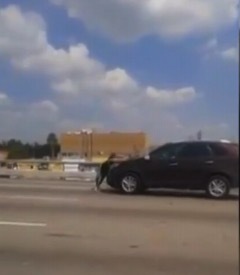 Motorists driving down the Interstate 45 in southeastern Houston were shocked on Wednesday to see a pregnant woman clinging to a vehicle that was driving down the highway. 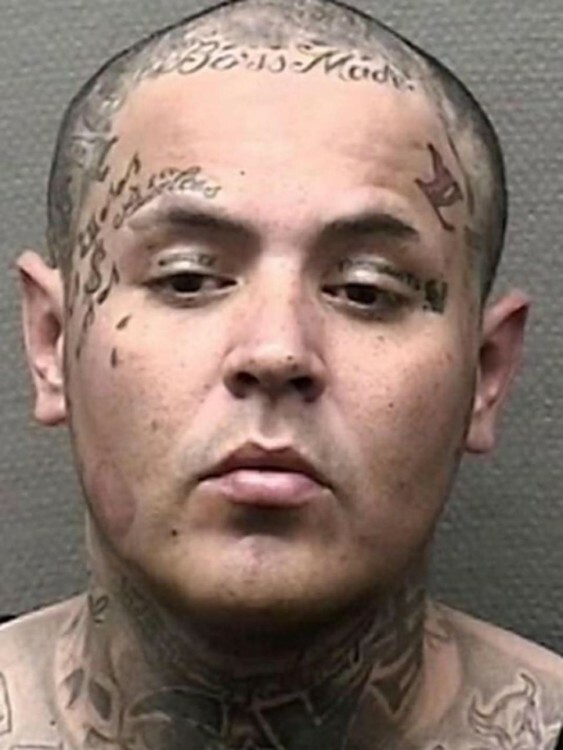 Police say the incident started when 33-year-old Anthony Escobedo showed up to the motel where his ex-girlfriend, Jessica Alvarado, was staying. He entered the room, stole the keys to a 2015 Kia Sorrento that Alvarado had borrowed from a friend and drove away. When Alvarado located the vehicle, she found Escobedo with another woman in the car, police said. She confronted him, but he refused to leave the car. So she clung to the windshield wipers to prevent him from leaving, but he didn’t care, continuing to drive down the freeway with the mother of this unborn child strapped to the hood of the vehicle. In video footage taken by other motorists, you can see Escobedo start and stop a few times in an attempt to push Alvarado out of the way. 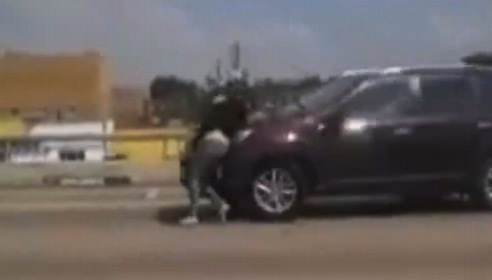 Determined, Alvarado held on for almost a mile – as the vehicle hit speeds of up to 30mph – before she fell from the vehicle, and Escobedo drove off. A passing driver took a 32 week pregnant Alvarado off the highway, and paramedics took her to St. Joseph’s Hospital where she was treated for scrapes and cuts on her hands and feet. About an hour later, Police located Escobedo and he was arrested on misdemeanor charges of assault of a family member. Thankfully the unborn baby was not injured in the incident. Kourtney & Penelope Enjoy a Girls Day Out in LA!